Meanwhile, YS Jagan Mohan Reddy, YSR’s son and Leader of the Opposition in the Andhra Pradesh Assembly, today congratulated the makers of Yatra on the film’s success. YS Jagan Mohan Reddy took to Twitter and expressed his gratitude to Yatra’s makers for their passion and dedication in depicting the character and essence of his father and a great leader, YSR. 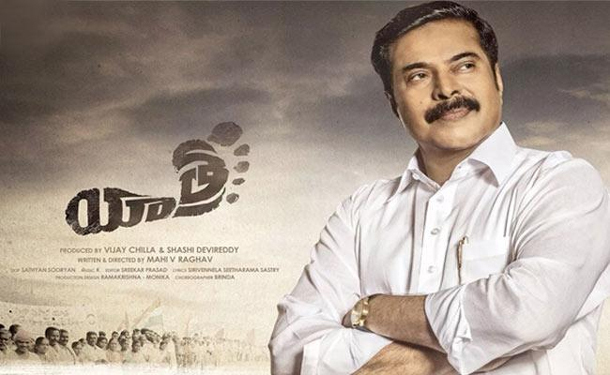 Congratulations @MahiVraghav @devireddyshashi @VijayChilla @ShivaMeka @mammukka & entire crew on the successful release of #Yatra.I wholeheartedly thank you & appreciate your passion & dedication in wanting to depict cinematically,the character & essence of the great leader,YSR. After the release of Yatra, the director Mahi V Raghav and one of the producers Vijay Chilla met with YS Jagan Mohan Reddy, at his residence. After their interaction with Jagan Mohan Reddy, director Mahi V Raghav said that YS Jagan Mohan Reddy was happy with the way YSR fans are lapping up Yatra. The people who have watched Yatra Full Movie, knows well that Jagan Mohan Reddy was seen in a very short cameo in Yatra.